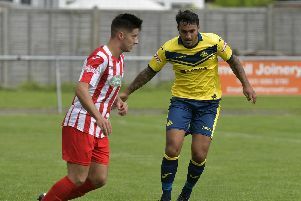 CRAIG McALLISTER is urging Gosport Borough to again raise their game when they travel to leaders Taunton Town in the Southern League premier division south. The Privett Park outfit delivered some of their best performances of the season against the promotion-chasing sides. Borough showed in their win at Weymouth last month that they’re capable of causing an upset. 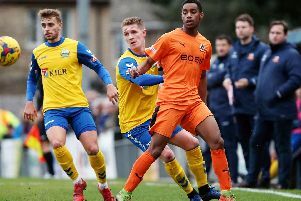 Player-manager McAllister said: ‘We seem to do well against the better teams in the league. ‘Players tend to raise their game. It is not something we tell them to do and ideally would like them to do it every game. ‘That isn't always easy but we need greater consistency. ‘I felt we did well in the second half in our last away game at Tiverton where we lost. ‘We were mainly in their half but just couldn't get the goal we needed. McAllister may be forced to make changes at Taunton. The player-boss is ruled out by a hamstring injury, while Tony Lee is struggling with a knee problem. It means Borough will have to physically adapt. McAllister added: ‘Taunton is a tough place to go but I remain optimistic we gain get something from the game. ‘The league is tight and even just a few good results can make a big difference.